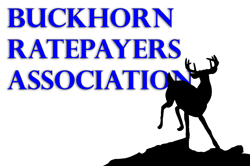 The next meeting of the Buckhorn and Area Ratepayers will be held at the BCC on June 6th. Our guest speakers will be the new warden of the county Mr. Joe Taylor. He will be speaking to the role of the county in co-operation with our twp. He will be well worth listening to. He will be followed by a short update from Judy, the Manager of the BCC. Many people will not know of the extensive role the BCC plays in our community. The formal meeting will start at 7 p.m. but a short annual meeting will commence at 6:15 to hopefully get more people to take an active role or to make suggestions. Also your memberships renewal is due and the $20. Membership fee can be dropped off at the BCC. We are active but need more representation. It appears that we are having an effect on the decision of the twp to build a new roads dept. The cost of 5 million dollars is very sobering not to mention the extent of our roads network. I don’t feel I am the best chair of this association, but I will serve tell somebody else steps up. The Schinski’s have moved to Curve Lake. Marnie Clement is doing an excellent job of reporting on council issues and this is very helpful. I know some of our members are distributing her reports to other groups they are associated with. We are very lucky to have her on board. As previously reported the roadside clean up captured approx. 25 bags of waste and recyclables. Well done. We could have used more hands. In future if you wish to volunteer we will make the equipment available the week before for people to do a portion of the road at their convenience. We would then pick up their collection. Spaghetti Dinner & Loonie Auction! Spaghetti, buns, salad, dessert and beverage!! Once again our community is holding the very popular Christmas Home Tour. Tickets are $20 per person which includes your tour of six beautiful, custom decorated homes. Ticket also includes access to the Nick of Time craft show and complimentary Tea Room. The Date is Sunday Nov. 27th and the home tour runs 11:00am to 4:00pm. Nick of Time craft show is open from 10:00am till 4:00pm and complimentary Tea Room from 11:00am to 4:00pm. Come early and enjoy the Nick of Time craft show and Tea Room, then head out on the home tour. Maryam Monsef is holding a round table discussion on Election Reform at the Buckhorn Community Centre on October 11, 2016 from 1:00pm – 2:00pm. See our democracy at work! This event is not sponsored by the Buckhorn Ratepayers Association however based on her other round table discussions, it should be a worthwhile event.